Colouring books are not just for kids anymore! 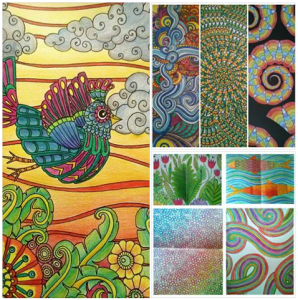 Colouring for adults is a way to relax, unwind the mind and de-stress. 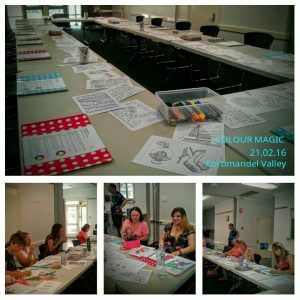 Try and Share Workshops with all materials provided and afternoon tea – includes colour theory. Come along and give it a go. No previous art experience necessary. $12 with all materials and afternoon tea provided. Reduced to $7 for repeat attendees. 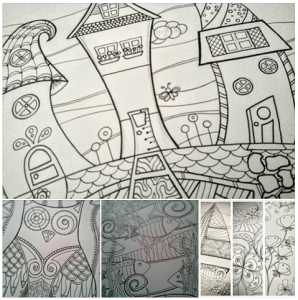 Welcome to BYO, doodle, Zentangle or draw and simply come together for the social aspect of colouring in. Older children welcome are more than welcome with supervision. Facilitated by Elizabeth L James : 14 years graphic designer, local artist, colour therapist and tutor. 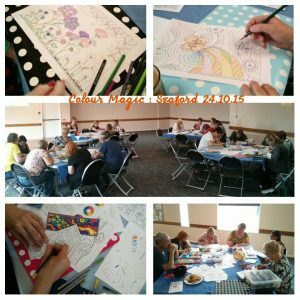 Relax and enjoy colouring in with like-minded people, pick up tips and techniques and learn how to put together pleasing colour schemes. All materials provided including morning tea for just $5. Transport available at an additional low cost. Delivered by the City of Onkaparinga Social Connections program.